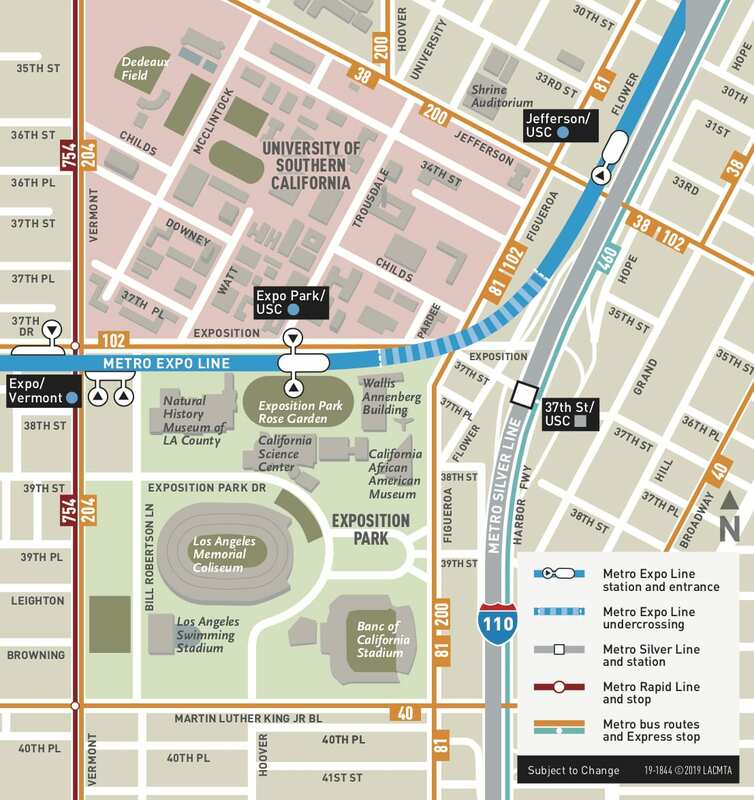 The ninth all-time meeting between the Dallas Cowboys and Los Angeles Rams in the NFL playoffs takes place this Saturday at 5:15 p.m. at the Los Angeles Memorial Coliseum, which is conveniently located near the Expo Line and Silver Line. Metrolink commuter rail is also adding late-night trains on the Antelope Valley, Orange County and San Bernardino Lines from Union Station — which is a short subway ride to the Expo Line. 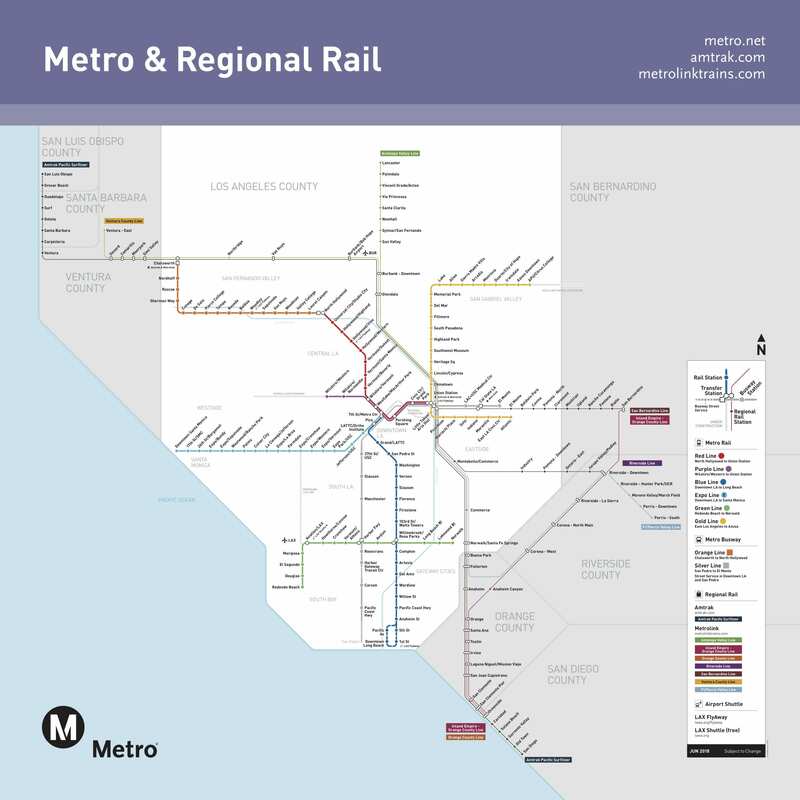 For only $10, take Metrolink for easy and convenient access to the Rams-Cowboys game. Metrolink is adding special late-night trains to compliment regular Saturday service on the San Bernardino, Antelope Valley and Orange County lines with trains on each leaving Union Station at 10 p.m. See schedules here. Note: Orange County Line trains will only operate between the Laguna Niguel/Mission Viejo and L.A. Union Station on Saturday, Jan. 12 due to a track closure for a scheduled maintenance project. More information here. For a safer environment and speedier entry, both the Coliseum and Rose Bowl have enacted a new clear bag policy. Fans are advised not to bring bags unless outlined as a permissible size and material. Approved examples are a clear tote, small clutch or clear bag. For details, visitnfl.com/allclear . Maybe you need a new map of Exposition Park. Pretty certain the LA Memorial Sports Arena is now something else. Go Rams! Although I still hate the previous ownership for moving them to St. Louis. From Lancaster you’ll have to take the 12:23 train to get there in time.